Anderson Consultancy is a professional farm management consultancy company offering clients valuable advice using a practical approach to provide tailored solutions to sustainable farm business profitabilty. The Gisborne based firm was established in 2004 and has a well established client base throughout New Zealand including a number of international clients. 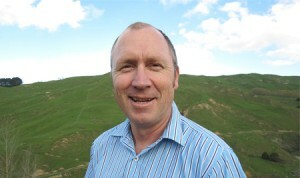 James has specialised as a full-time agribusiness consultant since 1995. James’ analytical skills combined with his practical approach to business planning enables him to identify limitations and opportunities for business growth. This approach has helped James develop a reputation for being able to quickly get to the heart of any problem or opportunity. James established Anderson Consultancy in 2004, is a registered Farmax consultant and holds a Bachelor of Agricultural Science with Honours from Massey University. James has an established client base spread throughout New Zealand ranging from small owner-operator farms to large-scale corporate farms over 100,000 su in size. James has a reputation for providing sound and solid farm business advise, which is built on not only his consultancy experience but also his considerable practical experience from his pre-consultancy days including farm manager, fencing contractor and general farm hand positions. James’ experience in analysing and processing market intelligence has also helped him develop a reputation of interpreting global and domestic events and converting them into market opportunities for his clients. James has experience in using a number of farm software programs including Farmax, Cash Manager Rural and numerous spreadsheet applications. James is skilled in not only using these programs but also in interpreting the results to make timely management decisions. A key feature of James’ consultancy approach is his focus on bottom-line results rather than just production indicators. This approach ensures clients receive sound profit-based and sustainable business solutions. Jonathan is a successful farmer and highly regarded former rural banker. Jonathan’s practical farming experience combined with his impressive rural banking experience ensures the advice he gives is not only practical and proven, but is also backed up with attention to detail. 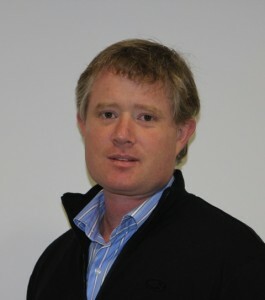 Jonathan Quilter joined Anderson Consultancy in 2012 from a background in agribusiness banking. Jonathan is a graduate of Lincoln University with a Bachelor of Agricultural Commerce majoring in Rural Valuation and Farm Management. Between banking roles in Canterbury and Waikato Jonathan purchased and established his own sheep and beef farming business on Gisborne hill country. He spent six years managing the 820 ha operation and now maintains a Governance and Supervisory role while working with Anderson Consultancy. Having latterly held a Senior Lending role based in Waikato dealing with large scale dairy businesses, Jonathan has experience in leveraged finance and strategic deleveraging as well as involvement in a diverse range of agribusinesses from irrigated and dryland dairy to intensive horticulture, pork, poultry, mixed arable and sheep and beef farming systems around New Zealand. Jonathan’s experience in finance in the highly leveraged post GFC environment combined with a practical operational background brings a complimentary skill set to Anderson Consultancy.